He is a committed physician educator who directs national education conferences yearly in the field of physical medicine & rehabilitation as well as regenerative medicine. Dr. Panagos is a perpetual researcher who works to identify and develop new and advanced techniques to accelerate healing of acute and chronic musculoskeletal and neurological diseases. Many of Dr. Panagos' patients have bypassed surgery. He has also resolved conditions in patients who have failed to recover for years and even decades as well as after multiple unsuccessful surgeries. 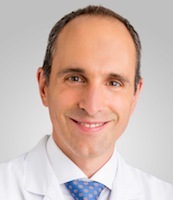 Research & Publications Dr. Panagos has been involved in medical education for many years, including research articles, textbook chapters, television and magazine interviews and has given many national and international lectures. Dr. Panagos released his textbook, Spine-A Rehabilitation Medicine Quick Reference, in 2010 which broadly covered the complex field of spine care and is looking forward to releasing several more titles for his patients. Bone Density. Open Journal of Regenerative Medicine 2014; 3(2): 39-42.
bracing, and modalities. Arch Phys Med Rehabil. 2007 Mar;88(3 Suppl 1):S14-7. Rehabil. 2007 Mar;88(3 Suppl 1):S29-33. Singh R, Panagos A. Quadriparesis following cervical epidural steroid injections. Spine J. 2006 May-Jun;6 (3):349. Panagos, A., Lacy, E.R., Gubler, D.J., Macpherson, C.N.L. Dengue in Grenada. Pan Am J of Public Health. 2005;17(4): 225-229.
rd Ed. Philadelphia, Elsevier 2007.
th Ed. Philadelphia, Elsevier 2011.